What’s incredible about Ben Affleck’s Argo is that the most outlandish elements of the plot are true, whereas screenwriter Chris Terrio’s historical liberties serve to amplify the tension in the final act. Based on a 2007 Wired article by Joshuah Bearman called “Escape from Tehran: How the CIA Used a Fake Sci-Fi Flick to Rescue Americans from Tehran”, the film details the Iran hostage crisis of 1979-81 and how the CIA used their “best bad idea” to exfiltrate six Americans from a seemingly impossible situation. Under the pretense of a Hollywood film crew making a cheap science-fiction movie, backed by two genuine Hollywood players, a full-page ad in Variety, and several storyboard concept designs, a single CIA agent walks into a powder keg environment and walks out with the Americans in hiding. This is a political thriller made in the 1970s style and tradition of All the President’s Men, where in place of pointless shootouts and chases, the film builds tension through the possibility of danger and a sweaty-palm degree of suspense. Cartoon storyboards and documentary footage are edited together in the opening sequence, setting the stakes of the Iranian revolution. The Western-backed Shah, put into place after a coup engineered by U.S. and British intelligence, is overthrown by Ayatollah Khomeini and fundamentalist Islam. On November 4, 1979, enraged militants protest outside the gates of the U.S. embassy in Tehran, while inside nervous embassy employees rush to destroy any sensitive material, knowing the mob will soon topple the gates and enter. When this occurs, 52 hostages are taken (and were held for a total of 444 days), but as long as two months later the Iranian stronghold still doesn’t realize that six American embassy workers—Lee Schatz (Rory Cochrane), Bob Anders (Tate Donovan), Joe and Kathy Stafford (Scoot McNairy and Kerry Bishe), and Mark and Cora Lijek (Christopher Denham and Clea DuVall)—slipped out under their noses into the home of the Canadian ambassador Ken Taylor (Victor Garber). Meanwhile, the Iranians have child workers reassembling shredded documents that in time will expose the identities of those missing. Worried that if captured the embassy escapees will be publically executed, the State Department teams with the CIA to rescue them. Moreover, the Canadians, nice of them as it was to secretly house the Americans, want their ambassador out of danger. And so, CIA director Jack O’Donnell (Bryan Cranston) calls in agent Tony Mendez (Affleck, under a thick beard and black mane peppered with gray) to meet and review the plans currently being discussed to get the six Americans out safely. When Mendez arrives, the Powers That Be want to supply the group with bicycles and ask them to ride 300 miles to the border; they’re also prepared to send someone to Iran and teach them how to use a bicycle, if they don’t know how to ride. Mendez, exhibiting his characteristic control, coolly explains that ‘exfils’ are “like abortions—you don’t want to need one, but when you do, you don’t want to do it yourself.” Mendez doesn’t have any better ideas, however, until he talks to his son on the telephone, who’s watching Battle for the Planet of the Apes on TV. Lightbulb! Mendez resolves to enlist Oscar-winning makeup artist John Chambers (John Goodman), who has assisted with CIA ops in the past, to set up a faux, low-budget Hollywood studio that will produce a lame-brained sci-fi script. Along with the help of on-his-last-leg-producer Lester Siegel (Alan Arkin, superbly deadpan), Mendez and his ersatz production company buy a cheap, never-to-be-produced script called “Argo” and create a believable front. The charade calls for Mendez, as acting producer, to arrive in Iran and scout locations with his six crewmembers, the American refugees pretending to be a film crew of director, screenwriter, associate producer, etc. Getting this over-the-top scheme established and approved makes for a lighter segment of Affleck’s film, whereas its execution has an entirely different tone. The tension becomes almost unbearable as Mendez must convince the Americans in hiding to go out into the open and pretend to be Hollywood gurus. However, they know nothing of such spy antics, or films for that matter. The final act where Mendez must take them through the Iranian airport, under the careful scrutiny of trained guards, is almost unbearable, affording a huge, celebratory relief when they inevitably escape. Expect a sudden burst of applause. 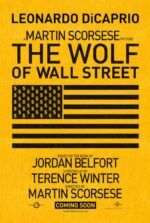 Opening with an old Warner Bros. logo and vintage-looking titles, Affleck’s third feature as director confirms what Gone Baby Gone and The Town already demonstrated: that he’s capable of injecting subtle style into his productions and condensing a complicated series of events into an accessible story. Affleck fashions Argo with relative late-seventies accouterments, from Rodrigo Prieto’s grainy cinematography to Jacqueline West’s spot-on costume design, complete with oversized glasses frames. All the men sport moustaches and sideburns, and everyone’s hair is extra shaggy. In the background, we see old phones in a CIA office that looks more like a bustling newsroom. Mike Wallace’s face-to-face interview with Khomeini is featured, as well as archival news reports from Ted Koppel and Tom Brokaw. Affleck even made sure to change the Warner’s studio water tower to make it appear appropriate for the era. But none of these details are overwhelming or distract from the story, whereas another filmmaker may have sacrificed the momentum to over-emphasize the potential kitsch value of the period. Affleck’s application of verisimilitude is flawless. Of course, history is rewritten in some instances to provide a more suspenseful experience. The eventual just-made-it escape wasn’t as close a call in reality, but the cutting between their departure and the delayed Hollywood men who must validate their cover story is incredibly effective. Siegel, too, was pure invention, replacing Chambers’ real-life assistant, FX man Bob Sidell. But, along with Goodman, Arkin’s comedic role is essential for injecting necessary humor into an otherwise relentless scenario populated by angry throngs, frightened escapees, and cold spies. To be sure, Affleck’s portrayal of Mendez borders on distant, but one must remember that his CIA disposition requires a certain detachment. Thus it becomes crucial to build Mendez’s backstory and his desire to repair his failing marriage and distant relationship with his son. These story elements may seem almost perfunctory, and yet without them Mendez has no personal stakes in this rescue, and Affleck’s performance would be one-note instead of loaded with the quiet layers he conveys. Rounding out the list of great performances is Cranston, who does much with his role as Mendez’s fictionalized boss. 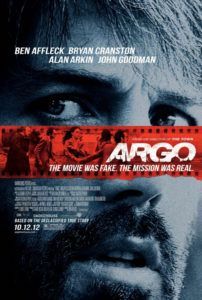 In the end, the production of “Argo” becomes an extreme but comparative illustration of how the CIA, in operations of this kind, must fabricate identities and essentially produce an elaborate scene to act upon such impossible missions. The tension of the presented situation is so unbearably high that it required an equal measure of invention and imagination to resolve—and in turn, the same measure required by Affleck to make Argo such a great picture. 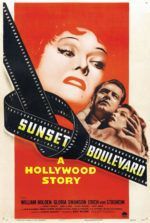 This is such a fascinating, crowd-pleasing film on multiple levels; from the politics involved to the story it tells, and above all the quality of filmmaking on display. Consider how believably Affleck transforms the shooting location Turkey into an Iranian square; or consider how the Iranians are not depicted as some faceless group of Others. These are skills of an adept, thoughtful director. Once more, Affleck has not only reminded us that his best performances come when he’s in control, but that he’s a considerable force behind the camera and slowly becoming one of today’s best new filmmakers.